This winter-flowering heather, which forms a small shrub, has erect stems with whorls of tiny deep green leaves. 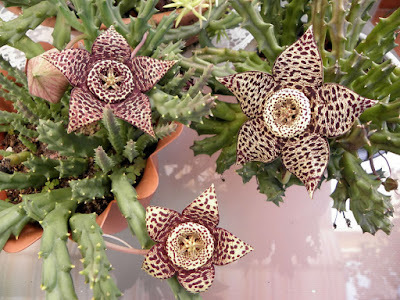 The 3/Vin/2-cm- long tubular flowers are pink with white tips and are borne in clusters at the ends of the stems. Erica carnea, winter heath, is another popular winter-flowering houseplant. It has more slender stems, which are densely clothed in small, round rose-pink or purple flowers. Because they need cool conditions, winter heaths are difficult plants to keep in the home, and they should be discarded after flowering. ORIGIN South Africa (Cape Province); hybrids. HEIGHT 12-18in/30-46cm. POTTING MIX Ericaceous (acidic) medium. REPOTTING Plants are usually discarded before repotting is necessary. 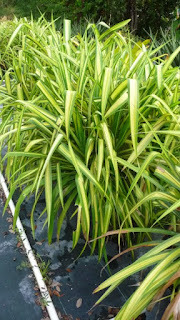 PROPAGATION By semiripe stem cuttings in late summer; these are difficult to root successfully in the home. KEEPING PLANTS Ericas lose their leaves rapidly in a dry atmosphere and tend to be short-lived in centrally heated houses. Bright light with some direct sun. • Keep cool, preferably at a maximum of 50°F/10°C. • Keep the medium moist at all times; never allow it to dry out. Use lime-free water where possible. • Spray the plant frequently and stand the pot in a tray of moist gravel. Although rarely seen, this evergreen shrub would prosper in the home, especially in a sunroom. The laurel-shaped leaves, arranged opposite each other along the stalk, are up to 6in/l5cm long. Each leaf is shiny deep green, marked in the center with a creamy white or yellow blotch that is sometimes thought to resemble a human face, hence the common name. There is occasionally a pinkish tinge along the central leaf vein. The lV2-in/4-cm-long tubular crimson or purple flowers open wide at the mouth. REPOTTING In spring, move to a pot one size larger. PROPAGATION Take stem cuttings in late spring or summer. KEEPING PLANTS Pinch off the growing tips regularly to encourage bushiness. Replace the plant after 3 or 4 years, when it becomes leggy. Water thoroughly, particularly in summer. Apply a standard liquid fertilizer once a month between spring and fall. The wiry, creeping stems make this an attractive plant for a hanging basket, since the stems will trail. It has yellowish green lance-shaped leaves, 2-6in/5-l5cm long, with sharply pointed tips and a slightly undulating, or wavy, surface. Oplismenus hirtellus ‘Variegatus’ has white, green, and rose-red striped leaves. Pinch off the insignificant flowers as soon as they appear. ORIGIN: Southern USA; West Indies; Mexico; Argentina. POTTING MIX: Soil- or peat-moss-based. REPOTTING: Move in spring, if plants are kept for a second year. PROPAGATION: The long runners root spontaneously; detach and pot up the resulting plantlets. Take tip cuttings in spring. 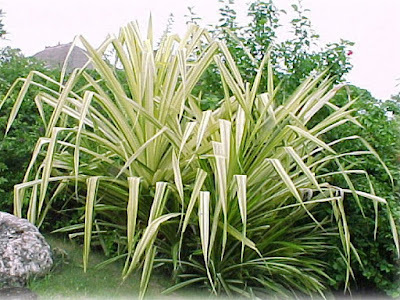 KEEPING PLANTS: As it ages, this plant loses some of its leaves and becomes straggly; cut it back severely or replace it after a year or two. Bright light, but direct sun only in winter. Keep the soil moist at all times. 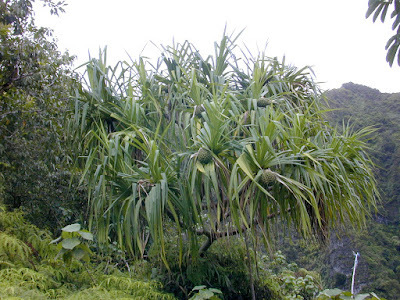 The plant will lose its leaves if the soil is allowed to dry out. Liquid-feed every 4 weeks in summer; overfeeding is detrimental to the appearance of the plant. Also known as Osmanthus ilicifolius (Holly- leafed osmanthus), this dense, woody- ’ stemmed shrub has prickly, glossy leaves that are arranged in pairs. 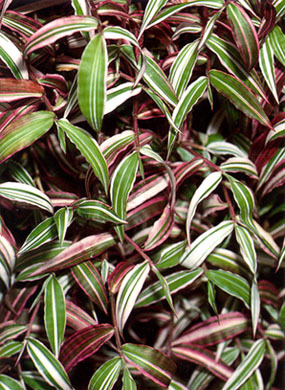 The leaves of ‘Variegatus’ are about 21/2in/6.5cm long and have creamy white markings, sometimes with a tinge of pink at the margins. 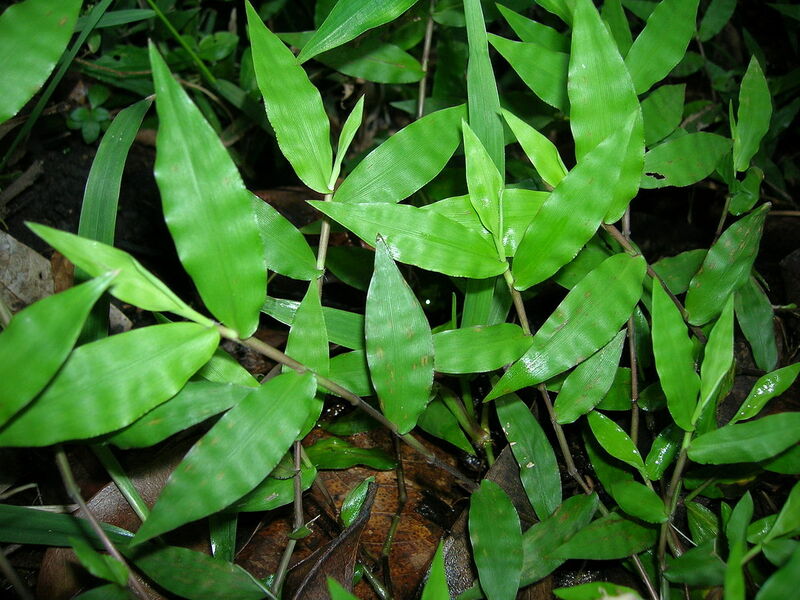 The shape of the leaves varies, even on the same plant. Some may be almost egg-shaped with smooth edges and a single spine at the tip, while others may be elliptic, with a number of large spiny teeth, including a long spine at the tip. 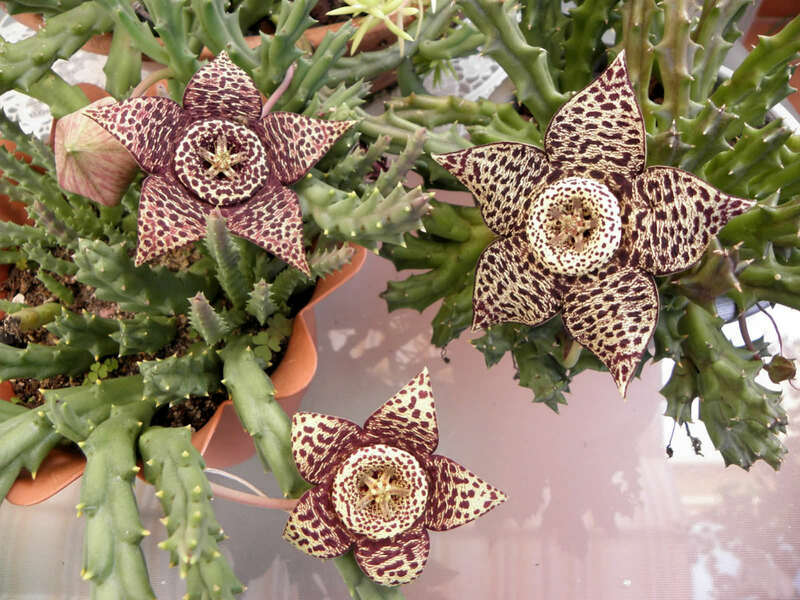 Plants grown indoors only rarely produce small, white, scented flowers in fall. HEIGHT: 6ft/1.8m in a container. REPOTTING: Move into a pot one size larger each spring. PROPAGATION: Take tip cuttings, with a heel, in spring or summer. KEEPING PLANTS: Pinch off growing tips regularly to prevent the plant becoming lanky. Cool temperature, ideally between 55°-65°F/13°-18°C at all times. Water moderately throughout the year. The best known of the five or so commonly grown pandanuses, the screw pine is a stately plant, especially when it grows older. 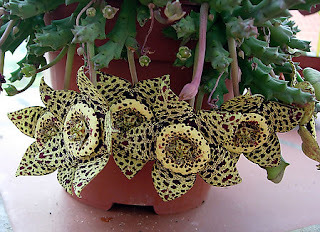 It has leaves up to 3ft/90cm long, the lower ones arching, with coarse spines along the margins. 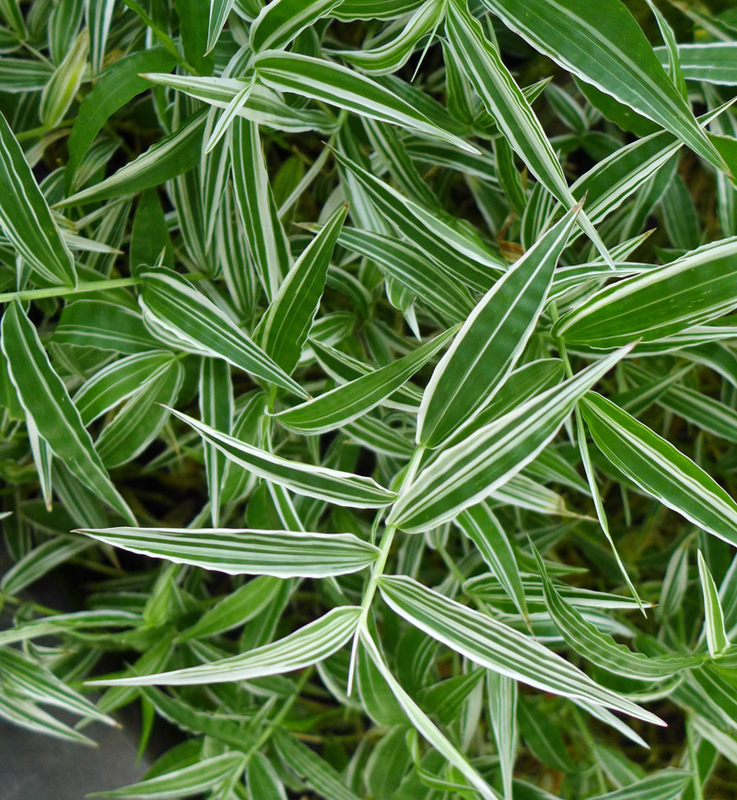 A feature of the foliage is the lengthwise creamy white striping. Mature plants develop beautiful stiltlike aerial roots. 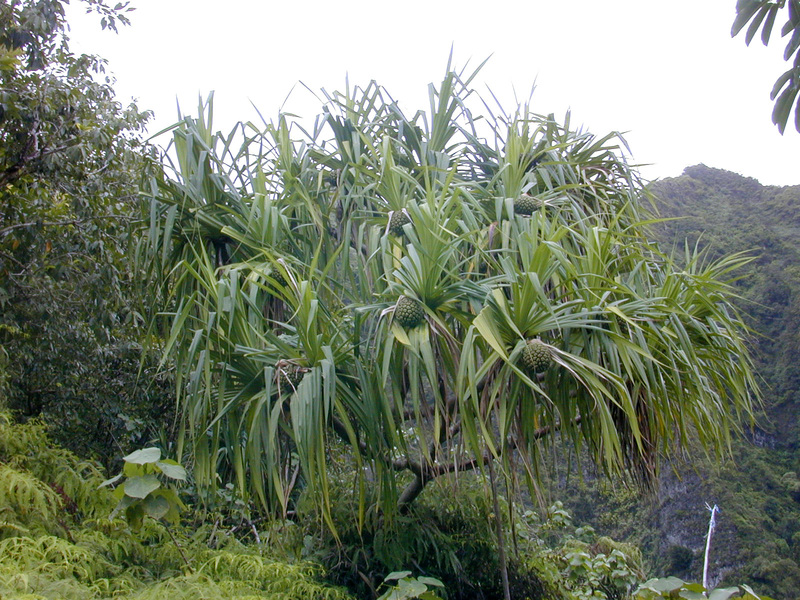 This pandanus enjoys very humid air and warmer temperatures. It is, therefore, better suited to a greenhouse, but properly looked after it will thrive in the living room. POTTING MIX: Soil- or peat-moss-based with good drainage. REPOTTING: Young plants may require repotting more than once a year, but after the plant is a year old, repotting each spring will be sufficient. PROPAGATION: Remove suckers from older plants and pot these up individually. KEEPING PLANTS: High humidity is essential for luxuriant leaf growth. A well-lit location; no full sun. A minimum temperature of 65°F/18°C. Water moderately, using water at room temperature; keep the soil a little drier from mid-fall until mid spring. Stand the pot on a tray of moist pebbles and spray the plant daily. © Feed every 2 weeks from spring to fall. 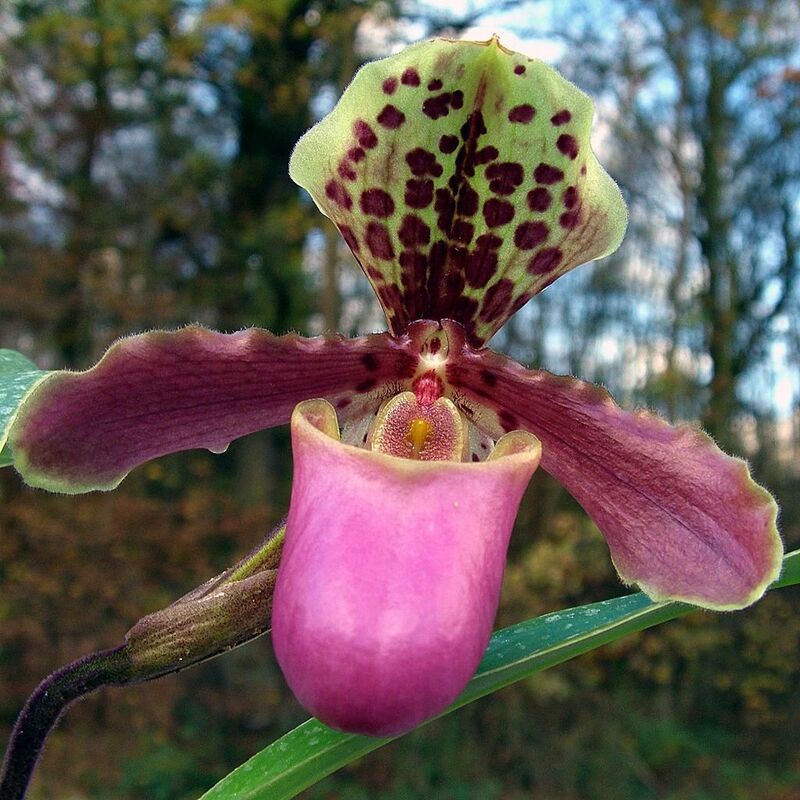 Several species of this orchid, particularly Paphiopedilum callosum and P. sukhakulii, and some of the smaller hybrids will do well in a living room, preferably near a window that does not receive too much sunlight. Wherever slipper orchids are sited, they require plenty of humidity as well as good ventilation during the hotter months. Paphiopedilums do not require a dormant Paphiopedilum season, but if the temperature drops in winter, the water supply must be decreased. 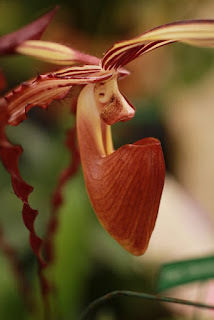 The blooms of these popular orchids have a striking sepal, usually called the flag; the lip of the flower is called the “slipper” because its pouch-like shape resembles a house slipper. Many hybrids are available from specialist suppliers, and new ones are being added constantly. REPOTTING: Repot annually in late winter. Always provide excellent drainage in the bottom of the pot. P. callosum should be kept completely dry for a few weeks after being repotted. KEEPING PLANTS: High humidity (65-75%) and a daytime temperature some 9°F/5°C above the night temperature are needed. Bright light, but the full sun only in winter. Normal room temperature, but not below 65°F/18°C at night. Water once a week throughout the year. Spray the plant daily and stand the pot on a tray of moist gravel to maintain humidity. Never allow water to lie on the leaves or in the center of the growth; this will encourage botrytis and cause the plant to rot. Apply a weak foliar feed once a month from spring to fall. 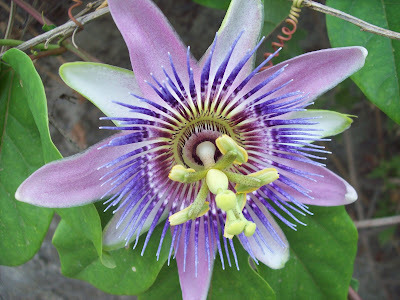 The common, or blue, passion flower grows in tropical conditions, clinging by tendrils to the trunks of jungle trees. 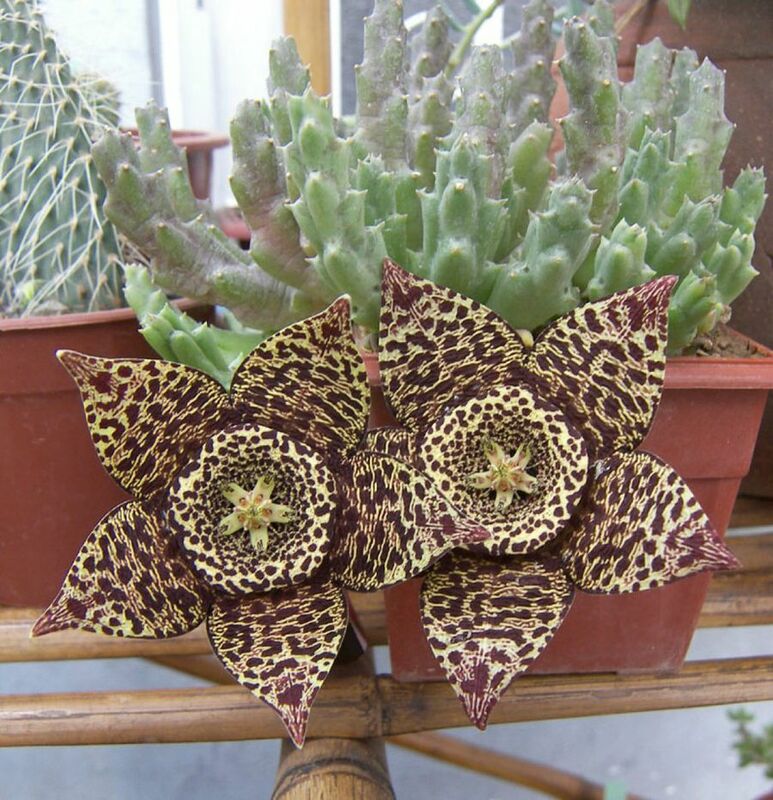 Indoors it needs heat, the sun, and good ventilation in order to do well.The hand-like leaves are large and glossy dark green. The 3-in/8-cm-wide flowers, give the plant its name. They have five white petals, five white sepals, and fine purple-blue filaments surrounding prominent gold anthers. 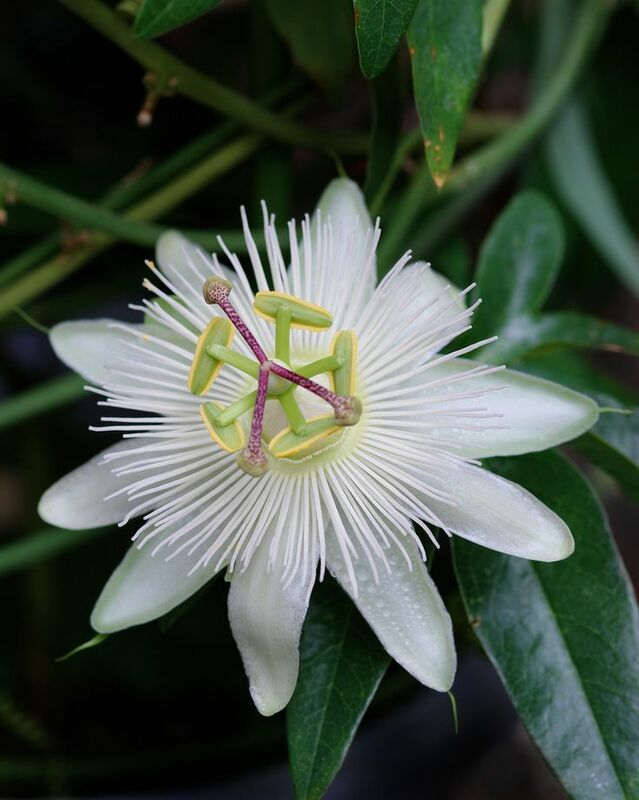 Jesuit missionaries who discovered the plant in Brazil in the 18th century likened its white petals and sepals to the Ten Apostles who witnessed Christ’s crucifixion. The anthers were seen as the five wounds, the rays of the corona of filaments as His crown of thorns, and the three stigmas as the nails that pinned Him to the Cross. 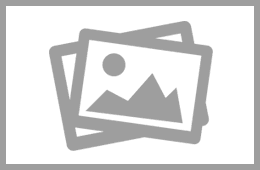 HEIGHT: 16V2ft/5m, but as a houseplant, it is frequently sold trained around a hoop. 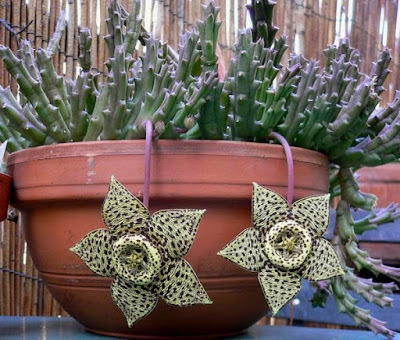 REPOTTING: Repot in spring for 2 or 3 years, then top-dress instead; the plant flowers best if its roots are restricted. PROPAGATION: Take 7-in/18-cm tip cuttings in summer. KEEPING PLANTS: Pruning does the plant no harm. Each spring, cut the stems of a young plant down to about 9in/23cm. Prune an older plant to keep it within bounds; cut side branches back to 3-4in/8-10cm. 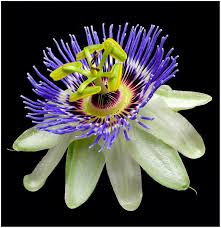 Full sun; the plant will not flower if the light is not bright enough. A temperature of about 70°F/21°C in summer, 50°F/10°C in winter. Water freely in summer; in winter water just enough to prevent the soil drying out. Feed with standard liquid fertilizer every 2 weeks in summer.